Chennai based motorcycle manufacturer Royal-Enfield has announced the end of season sale on their apparels and accessories. The company will be offering flat 40 per cent discount on select merchandise. 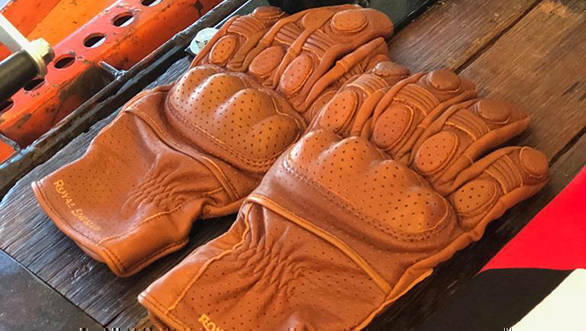 Royal Enfield mentions that consumers will have a host of options to choose from including protective and urban gear, luggage and accessories. One can avail of the discounts on these products between January 15th and March 1st across all channels including the online gear store, brand stores and across the network of 800 dealerships in India. The discount is applicable on eyewear, gloves, headgear, helmet, jackets, denims, protective trousers, jackets, shirts, shoes, sweaters, sweatshirts, urban trousers, T-shirts, bags, saddle bags, bike covers, boot covers, rain jackets and rain suits. In others news, Royal Enfield is gearing up to launch Trials 350 and 500 in India. The RE Trials motorcycles feature a single seat with the pillion seat being swapped out for a luggage rack, off-road compatible knobby tyres, raised reinforced mudguards, as well as an upswept exhaust. The leaked images of the Trials models also show that while the body features chrome and silver paint, the frames have been highlighted in different colours. The motorcycles also appear to sport the same tail lamp and indicators as the Interceptor 650 and the Continental GT 650.